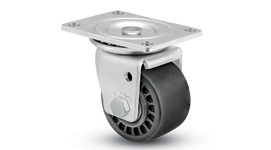 The 00 Series is available in single wheel and dual wheel options, and are an ideal choice when low clearance is required. Don’t be fooled by the sleek, low profile of the BDS/BDR. 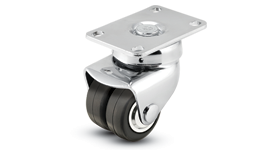 These casters have easy pivoting action and ultimate mobility. 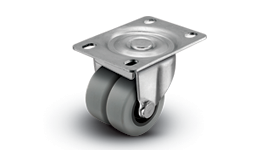 This low profile caster is an perfect choice for business machines. Add the Sure-Lok Brake for quick and easy braking.